With over a century of history, SAKATA INX has always been on the forefront of expanding its involvement in the printing and information industries. SAKATA INX will continue to expand on its broad base of technology and make it our highest priority to serve the technical innovation of the printing and information industries. Our vision is "Creation of Visual Communication Technology." For that reason, SAKATA INX will make the printing ink business our core business, and will continue with new research and development activities based on our basic technologies. In the printing related field, SAKATA INX will take an active approach to the new business as an "ecological-oriented company,"
our corporate philosophy and the origins of the company′s name. 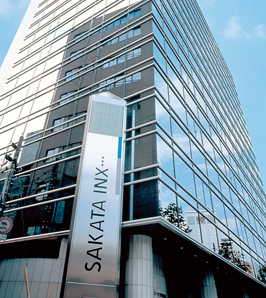 An easy to understand business outline and explanation of SAKATA INX′s business. An introduction of the company can be downloaded in PDF format.